INDUSTRY.co.id - Jakarta - Secretary General of the Ministry of Energy and Mineral Resources (ESDM) Ego Syahrial said the bribery case of the Riau-1 Steam Power Plant project did not affect the performance of the 35,000 megawatt megaproject. He also said there has been no specific direction from the Minister of EMR related to the bribery case. "We have not deepened the project yet, nor has there been any specific direction from the Minister," he said. Previously, President Director of PT PLN Sofyan Basir said delayed the construction of PLTU Riau-1 due to constrained legal issues. "Construction work will be postponed temporarily, until the legal case is over," said Sofyan. Related to the change of the consortium will be in the authority of PT Pembangkitan Jawa-Bali (PJB) as direct appointment from PT PLN. Sofyan explained that even if it starts from the beginning, it will not take long because all the readiness has been done. 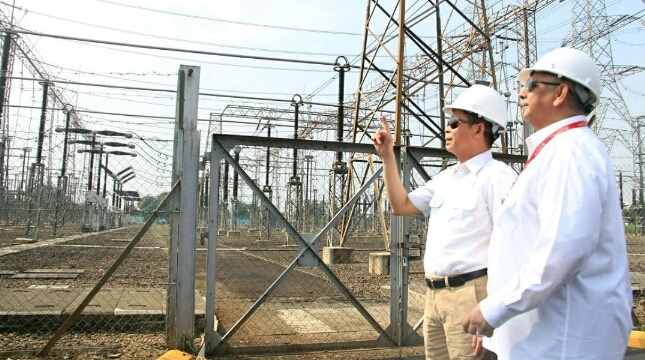 Previously, President Director of PLN said the total value of the investment of PLTU Riau-1 is 900 million US dollars. "This project is run by a consortium and a subsidiary of PJB, the investment value is approximately 900 million US dollars," said Sofyan Basir. Sofyan also explained that PLTU Riau-1 mouth of the mine is a direct appointment project to PLN subsidiary, PT Pembangkitan Jawa-Bali (PJB) which is wholly owned by PT PLN. Until now the status is still limited letters of interest (LOI) from investors or consortium, with capacity planning of 2x300 MW. The Letter of Intent (LOI) was signed in mid-January 2018, with a commercial target in 2023. The consortium formed is Blackgold Natural Resources which is a multinational coal mining company. Then another company is PT Samantaka Batubara which is a subsidiary of Blackgold and Chinese origin company, China Huadian Engineering Co.Ltd. Furthermore, the consortium company is PT PJB, which will have a 51 percent majority stake in PLTU Riau-1. Then, PT PLN Batubara. Sofyan said he could not move more deeply because the project was handled by PT PJB. The policy to replace the consortium after stumbling legal cases is also the authority of PT PJB. President Director of PLN also said his legal status after his house was visited by KPK is still as a witness. "My status is a witness, because I also support the steps of the KPK, so I also provide the necessary information and documents and the KPK also carries only related documents, nothing else," Sofyan Basir told PLN Central Office here Monday. In detail Sofyan said the documents carried are data related to PLTU Riau 1. Director of PLN also justify KPK has brought some related documents from his home. The Corruption Eradication Commission (KPK) ransacked the home of State Electricity Company (PLN) President Sofyan Basir in Central Jakarta on Sunday (15/7) in connection with corruption bribery investigation on the cooperation agreement on the development of the Riau-1 Steam Power Plant (PLTU). "True, there was a search at the PLN President's house conducted since this morning by the KPK team in a bribery investigation related to the PLTU Riau-1 project," said KPK spokesman Febri Diansyah.